If people are interested in working out viable ways to pay the funeral tab, they'll need to be a bit flexible from time to time. By learning to think outside the box, men and women should be able to come up with the money that is needed. 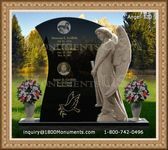 Their loved ones can be laid to rest with elegance and style. There are a number of ways that loved ones can find the money for the bills. In most cases, the deceased individual will have taken out an insurance policy that will cover the cost of the final expenses. If this is the case, loved ones will have to examine the paperwork very carefully so that they can be sure of each and every detail. Family members might also be able to chip in for some of the more costly expenses. 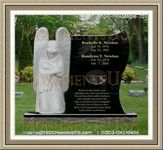 If a gravestone needs to be picked out, for example, relatives will have to get together and settle on a style. As long as the stone is as elegant as possible, there should be no real problems going forward. Most reputable stones are made from either granite or marble. If there are no relatives at all, then close friends might be left to work something out. While they should not feel the need to break the bank, they should still try to give the deceased a proper memorial that will remembered down the years. Something short and sweet will usually work just fine. In rare instances, the government will be able to help. This usually occurs when individuals who are extremely impoverished have only a few dollars to their name. In such cases, subsidies will usually be available. Because the government is generally reluctant to help, people should only count on assistance as a last resort. In the end, the funeral tab should be broken down so that people are aware of the costs. This way, all parties are aware of what they will need to pay. With luck, the ceremony itself should come off without a hitch.